On life: “In the fairy tales one does as one wants, and in reality one does what one can.” (Ouch). Ever since being translated into English (the final instalment, The Story of the Last Child, came out in English last year), these books have been the toast of the literati. For good reason. The best book about Italy for the one on your list… whose guilty pleasure is The Da Vinci Code. Jonathan Harr’s The Lost Painting is so fast-paced, it’s often easy to forget it’s not fiction. It tells the story of how two young art students track down one of the world’s great, missing masterpieces: Caravaggio’s The Taking of the Christ, which had been gone for more than 200 years. In the vein of Ross King’s Michelangelo and the Pope’s Ceiling or Leonardo and the Last Supper (also excellent, by the way), the book reads like a novel — and in this case, like a detective thriller. There are details about art restoration and Baroque bad-boy Caravaggio, so you will learn something. It’ll just be without realizing it: the chapters are short and the information can feel a bit thin. But as a fun, easy, fascinating read about one of the strangest stories in art history, this hits the mark. The best book about Italy for the one on your list… who studied abroad in Rome for a year and still can’t stop talking about it. This is basically the book that, in my dream of dreams, I wanted to write — except there’s no way I could have done it as well as veteran Roman journalist Corrado Augias. The Secrets of Rome is well-researched, beautifully-written and one of those rare nonfiction works that’s easy to completely lose yourself in. Translated from the original Italian, Augias’ book is a journey through 2,700 years of Roman history. But not chronologically, and not for the purpose of “teaching” the city’s history as one long, cohesive story. Instead, each chapter takes a different corner of the city as the jumping-off point for a fascinating tale. Some are little-known, but even the stories that are famous — like Caesar’s assassination — have details that will surprise anyone but a Roman history PhD. And while history can get a rap for being dry, the book can be nothing short of emotional: the chapter on the massacre of the Fosse Ardeatine, the caves where 335 men were brutally executed under Nazi orders in 1943, made me cry. It’s a book that history lovers who have only been to Rome once or twice will love. But for those who know the city well, the book is even richer. The book about Italy perfect for the one on your list… who still tears up over Saving Private Ryan. Unless you have particular interest in World War II, it’s easy to all but gloss over it when you’re reading about Italy. After all, there’s so much else! Ancient Rome! The Middle Ages! The Renaissance! But the war completely reshaped the landscape of Italy – including its cultural and artistic landscape. The only reason it didn’t wreck Italy’s art and beauty even more than it did came down to the ingenuity, bravery and hard work of locals — and of a group of art historian soldiers tasked with doing whatever they could to get ahead of the Allied invasion and save what they could. If you’ve seen the film Monuments Men, this probably sounds familiar. When the Allies bombed the Florence train station, they were so precise that they dropped 145 tons of explosives that destroyed railroads and warehouses — but the bombs didn’t even touch the churches that stood a stone’s throw away. But the list of cities that merited that kind of protection was very short: just Florence, Rome, Venice and the island of Torcello. So when the station in Padua was bombed, it was far sloppier. One of the many buildings bombed was the Church of the Eremitani… where the irreplaceable frescoes by famed early Renaissance master Andrea Mantegna were completely destroyed. One bombing raid on Milan killed 700 and destroyed La Scala, the Brera Picture Gallery and 40 churches — including Santa Maria delle Grazie. Leonardo da Vinci’s Last Supper was miraculously the only part of the chapel to be left standing. But even then, it was far from safe. It took days for people to clear the debris away, and while they built a new roof to cover it, they had to use a canvas tarp instead. The book is chock-full of these kinds of compelling details — all written in a can’t-put-it-down kind of way. A must-read. 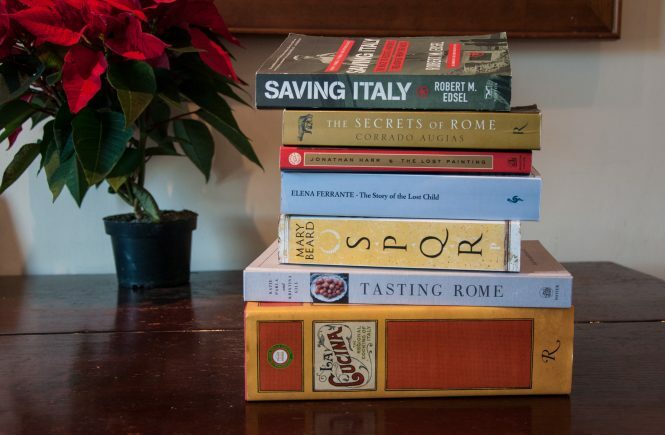 The best book about Italy for the one on your list… who has a soft spot for Rome and already owns a million cookbooks. 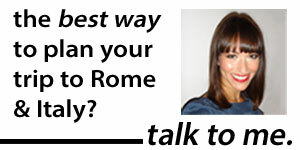 I’ve known Katie Parla ever since emailing her when I was first toying with moving to Rome in 2009. In some ways, it seemed like she’d paved a path for me: we were alumni of the same university, both loved Italy and history (even narrating the same History Channel show) and wound up writing not-exactly-sugarcoated blogs about Rome. Here’s one big difference between us: while I consider myself a pretty greedy good connoisseur of Italian cuisine, Katie has taken it a step further. She’s made it her job to know Italy’s food inside, out and upside-down at a level I’ve always admired. So maybe it’s to be expected that when her book Tasting Rome came out this year, I rushed to scoop it up. If you have someone on your Christmas list who loves a) food, b) Rome or c) just having a really pretty cookbook on their shelves, you might want to, too. Rather than “cookbook” or “book”, Tasting Rome is both. 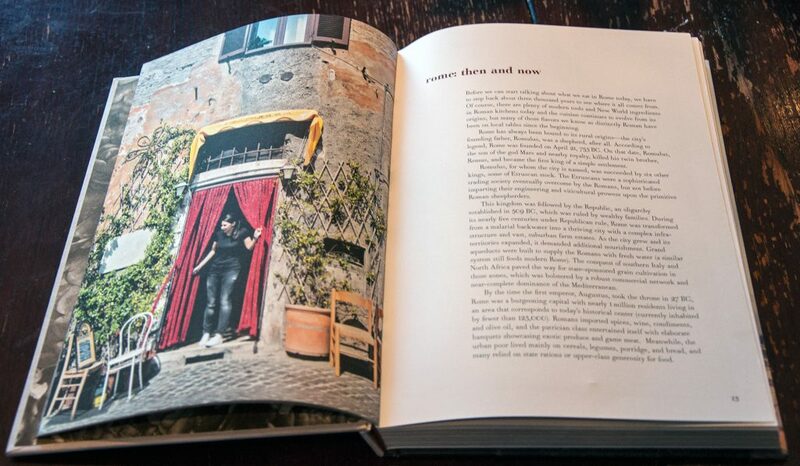 It combines tidbits about both Rome’s food history and its contemporary culinary landscape with recipes adapted from some of the city’s most beloved chefs and restaurants. And while cookbook images usually look staged or stock-y, Kristina Gill’s shots are a lovely mix of both mouthwatering close-ups and glimpses of Rome’s hidden corners and eateries. Perhaps best of all? Parla and Gill are transplants to Rome who know the city inside and out. 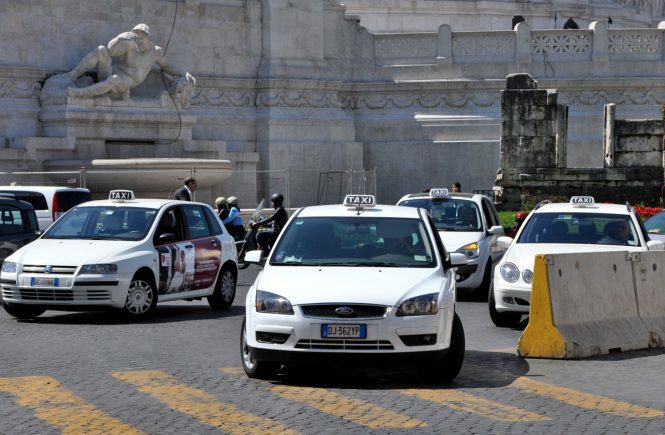 That means that, while they love Rome and its history, they don’t see the city as some glossy version of dolce vita come to life — and that mix of warmth and authenticity is at the heart of every page. The book about Italy perfect for the one on your list… who says that, if they could to “do it all again”, they’d study Roman history. Cambridge classics professor Mary Beard appears often on television shows about ancient Rome. A big part of the reason is her refreshingly straight-talking take on history — which shines through in her book SPQR. The book, which came out last year, isn’t for someone starting out with zero interest in Roman history. Unlike, say, The Lost Painting, no one’s going to mistake it for a novel. But it is perfect for anyone interested in Roman history, even if they’ve never studied it before: Beard treats you like you’re a smart person who probably has heard of the story of Romulus and Remus, but might need your memory jogged, just in case… and who definitely is curious about how that story came to be and what on earth all that fratricide really meant. And she’s candid and clear-eyed not only about what’s true and what’s not, but also what the Romans were really like (she dispatches one ancient legend with a simple “This is another case of Roman exaggeration”). The New York Times called her approach “a crisp and merciless clarity”. It’s also one that makes a very complicated subject very, very readable. The book about Italy perfect for the one on your list… who everyone considers the cook of the family, even though their idea of “following a recipe” means eyeballing measurements and substituting half the ingredients. Fifty years ago, a group of Italian scholars were getting very worried that local, “as mama makes it” recipes were disappearing. So they embarked on a massive research project. They visited hundreds of villages where they watched people cooking in front of their stoves, gathering 2,000 recipes from every region across Italy. The result is compiled in La Cucina: The Regional Cooking of Italy. The first thing you’ll notice about this book is that it’s a brick. (Do not buy this for someone about to move abroad — or who will be intimidated by a cookbook that could double as a doorstop at even the heaviest palazzo entrance). The second is that it’s so, so much more than pasta and pizza. There’s plenty of that, too. 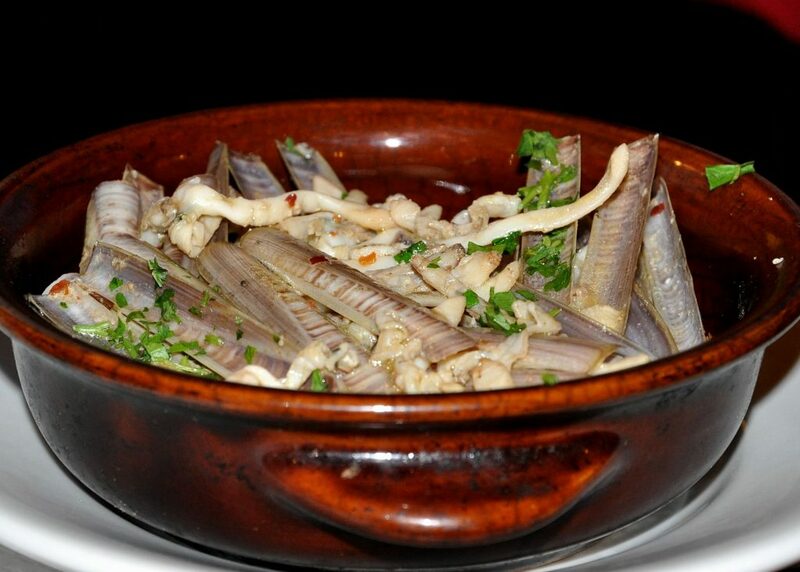 But from recipes like barley-and-potato soup (Friuli) to carp roasted with wild fennel (Umbria) to braised pork ribs (Sardinia), there’s a ton of variety – as there is in Italian cuisine itself. One of the things I love about this book is that the cooking methods are what people were actually doing. In other words: no food processors, no microwaves, no shortcuts. That makes this book a particularly good buy for anyone who enjoys incorporating a little “slow living” into their lives. But that doesn’t mean everything takes ages to make. Some of the recipes are deliciously simple. Take Calabria’s swordfish with mint, where the recipe is literally “Rub the fish steaks with garlic, salt them, then bread them. Heat 1/4 inch olive oil and cook the fish until golden on both sides, then drain on paper towels and let cool. Arrange them on a serving plate, sprinkle with vinegar, then dust with mint leaves. Let rest for at least 30 minutes before serving.” Done! But I also love that, as detailed as they are, the recipes can’t be followed scientifically. Sometimes that’s because of the ingredients (like the “2 lbs frogs, skinned and without heads”, for the Lombardian risotto alla certosina). But it’s often because of how the directions are given. Forget precise temperatures, for example: common phrases like “cook at low heat” or “as soon as it’s cooked, remove it from the liquid.” It assumes you already know the basics of cooking – and that, if you don’t, you can figure it out. And perhaps ironically, that means that while the recipes were written down to preserve at least one of their “original” and “authentic” versions, one of the best things about them is that they force you to be just a little bit creative. Just add some drips of olive oil and biscotti crumbs stuck in the pages to make it 100% authentic. Want more books? 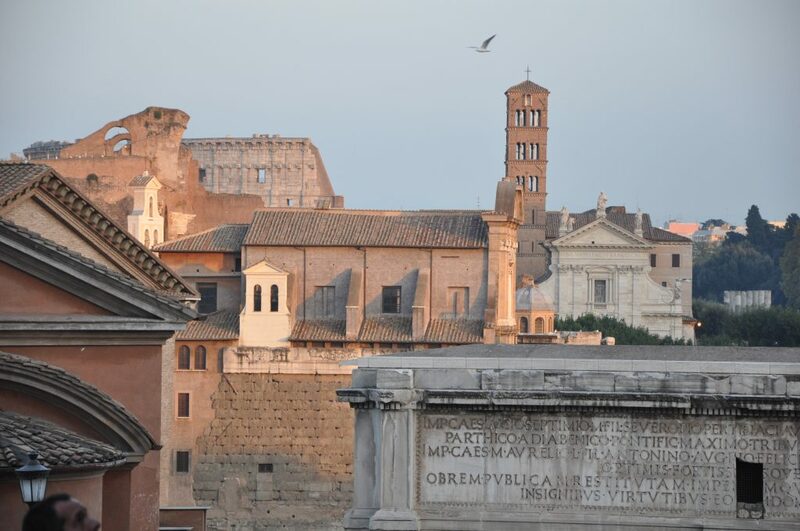 Don’t miss my round-up of some of the most readable books about Rome. More great inspiration for what to read (or give as a gift) in my lists of best Italian food gifts, gifts for Italy-bound travelers and gifts for culture vultures and history lovers. Loved this! Thanks for the ideas. You write so well! Very informative and entertaining post 🙂 I’ve read the first book in the series by Elena Ferrante (in Italian) and I have the one on Rome by Augias (also in Italian), but haven’t read it yet. Thank you for these suggestions, I too think books make for great gifts! 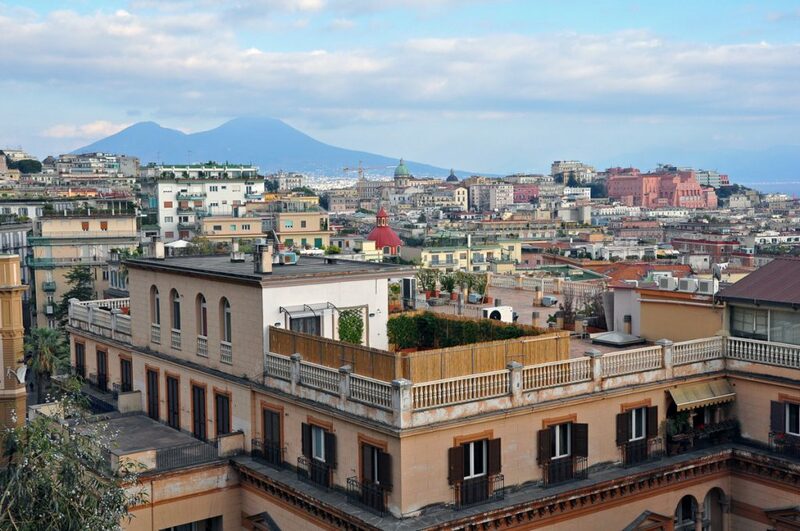 I will bring Elena Ferrante to Rome to read on my upcoming visit in September. I’m delighted I found https://www.revealedrome.com when doing my research, it has been invaluable. Thank you Amanda. I’ve just downloaded your guidebook also. Well done on a very well-informed and well-presented web / blog and guidebook. Thanks so much for the kind words, Sarah. And tell me how you enjoyed Ferrante!